Everyone has some sort of relationship with Nutella. For me, it's a much more relaxed relationship than some of my friends- I love it, but I'm not absolutely crazy for it. But this recipe could possibly change my mind about how I feel about the chocolate hazelnut spread. When I made these, everyone went insane for them. 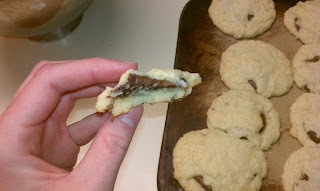 All it is is a sugar cookie with Nutella inside. Easy? Yes. Delicious? Of course. 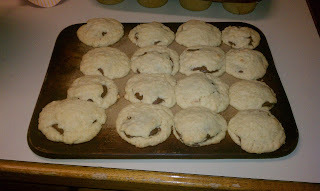 I made these before I had any concept of creating a blog, so I don't have many pictures, but I'd say you don't need many to realize that these cookies of creamy chocolate goodness are heavenly. 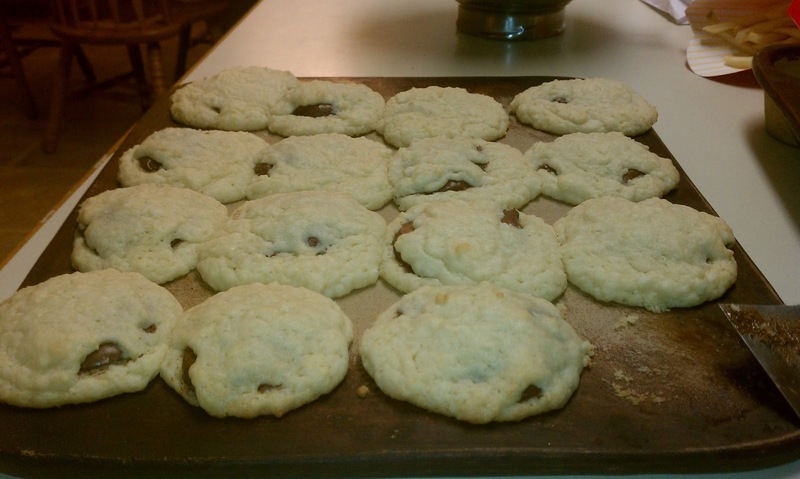 Thinking back on these great cookies, I remember posting a picture of them on Instagram and my friends freaking out. -Scoop Nutella in 1 tbsp. drops onto wax paper and place in freezer. Leave them in the freezer until they're absolutely frozen. This is extremely important for forming the cookies. -Form a 2 tbsp. ball of cookie dough, but split the dough in half and put on your sheet, as you would with normal cookies. -Once the Nutella drops are frozen, lift with a spatula and place in the middle of your cookie dough. Use the remaining dough to cover the 'Nutella sandwich'. You may have to push around the edges so that it forms completely around the cookie. -Bake for 10-13 minutes until they start to turn a little brown. Let cool and enjoy!